If you ask me what my favourite ingredients are one of them would have to be garlic (Allium sativum). 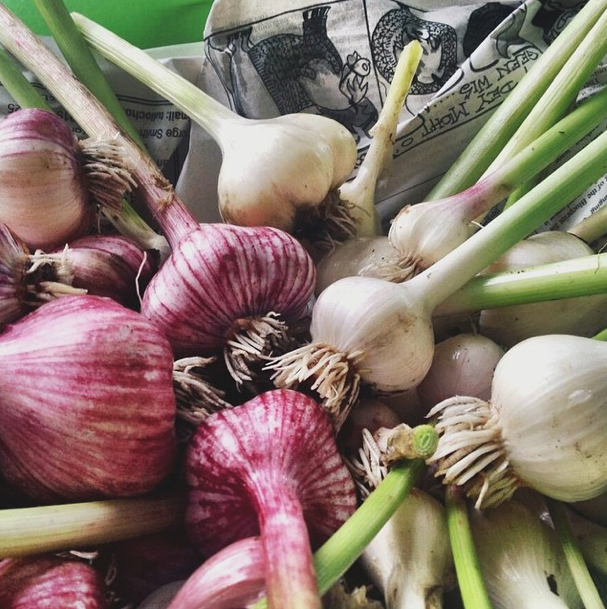 Garlic is a versatile food flavouring but most importantly it is an amazing natural remedy. It’s been proven garlic is powerful natural antibiotic and therefore it’s great for preventing and curing many illnesses. So growing your own garlic definitely makes sense, especially as it can be quite expensive buying organic. 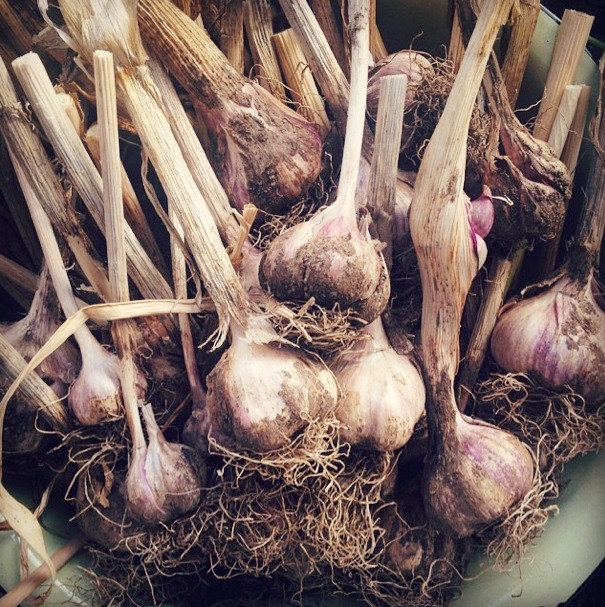 In fact growing your own garlic is really simple and hugely satisfying. Even in Shetland, at 60° north, you can succeed to grow good size bulbs, which will taste much better and stronger than supermarket-bought garlic. And it will keep much better too. 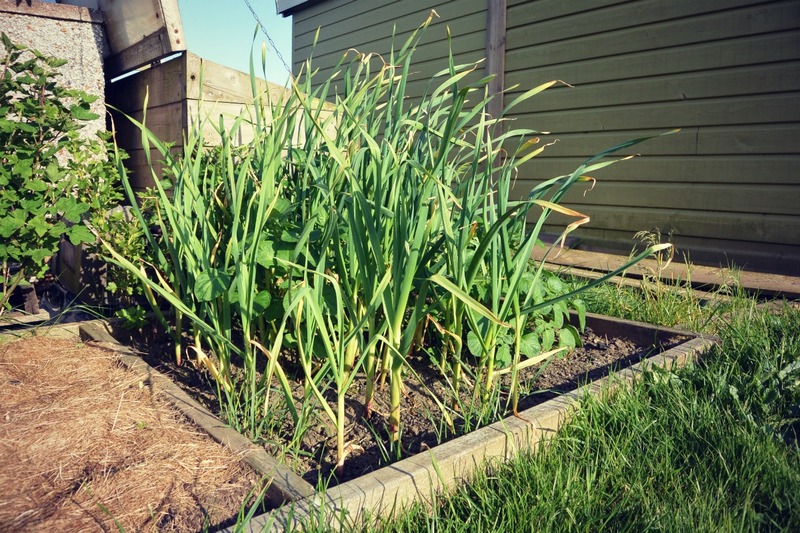 To grow your own garlic all you’ll need is a small patch of well-dreained soil or ideally a raised bed. 1 x 1m will give you sufficient space to produce enough garlic to keep you going all year (I judge this by our standard and we use a lot garlic. I mean a lot). For best results choose a sunny site and add some garden compost too. Garlic can be planted in the spring, as soon as the ground is dry enough to be worked, but to get good sized bulbs you’ll need to be a bit more organised and plant the seed garlic around October or November time. Since in Shetand we do not suffer from frost too much planting garlic in late autumn is ok, however if you live in an area where hard frost is an issue make sure you plant garlic six to eight weeks before that frost. Break apart cloves from bulb, but keep the papery husk on each individual clove and plant 10cm deep and approximately 12cm apart, with their pointed ends up. You can also cover the planted area with 5cm of organic mulch, such as shredded leaves or grass clippings. And that’s the hard work done – the rest will happen on its own. 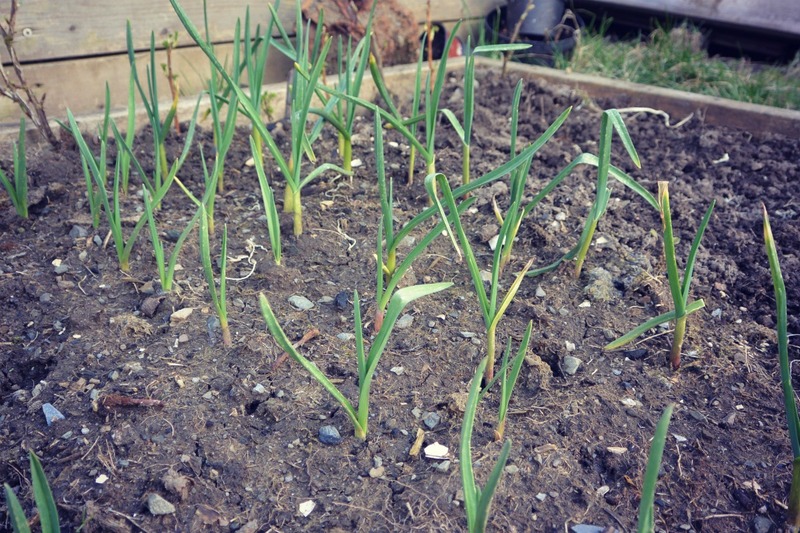 In early spring the garlic will start growing and come late summer you’ll be able to start enjoying your crops! Really, garlic must be one of the easiest plants to grow! Harvesting and storing – from early summer to midsummer, keep an eye on your plants and pull them when about one-third of the leaves appear yellow and withered. Use a fork to loosen the soil before pulling the plants and avoid bruising the freshly pulled bulbs. Lay the whole plants out to dry in a warm, airy spot that is protected from rain and direct sun. After a week or so, brush off soil from the bulbs and clip roots to 1cm long. Do not be tempted to remove the papery outer husks as these inhibit sprouting and protect the cloves from rotting. Hang your dried crop in mesh bags in a cool place. This way your garlic should keep for approximately six months.